“How can two people who have lived their entire lives in Colorado, move so far away?” That was the reaction from family and friends when my husband, Wes, and I announced our decision to retire overseas. We felt it was a good time for us to have a new adventure. I’d been working for over 30 years as a library employee and Wes had been retired for over a year and was growing weary of the cold Colorado weather. We were in good health and we had worked hard and raised our family when our peers were out exploring (we married young). So we pulled the ripcord on daily life as we knew it, threw caution to the wind, put on our vagabond shoes, and started our retirement research. In the fall of 2014, we vacationed with close friends in Costa Rica. We rented a car and traveled through the beautiful countryside to small, out-of-the-way places in the mountains and visited the Pacific Ocean. Wes and I fell in love with Costa Rica. It had the climate Wes wanted and the mountains I loved. So we sold our empty nest in Colorado, and everything in it, and set off on our retirement journey. Our friends had also decided to retire to Costa Rica so we rented a large house together when we relocated. Looking for just the right place to accommodate two couples on fixed incomes and a total of five dogs was not an easy task. But we found the perfect house in the southern part of Costa Rica in San Rafael Norte, a tiny community north of San Isidro de General, along the Pan-America Highway. It had four levels, each couple had their own floor with a bedroom and bathroom. We shared a kitchen, sitting area, dining room, and a laundry. Our rent, plus all our utilities, cost $497 per month per couple. Taking a chance on her dream retirement turned out to be the exact right decision for Sharon. Wes and I feel right at home in this area so when the lease on our shared house expired, we decided to rent our own place. We found a fully furnished, three-bedroom home southwest of San Isidro, up in the mountains. Our rent is $650 a month including internet, water, and trash. 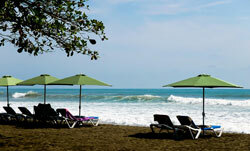 It takes us 20 minutes to get to town and we’re just 25 minutes away from the beach at Dominical. I feel like we are living in an oasis…away from the real world, yet also so close to it. We have no close neighbors and the views from our house are amazing…it’s like our own Costa Rican paradise. Our total expenses are about $1,200 per month which includes food, rent, electricity, and upkeep on our car and fuel. We go grocery shopping once a week at the local low-cost feria, which is the largest covered farmers market in the county. 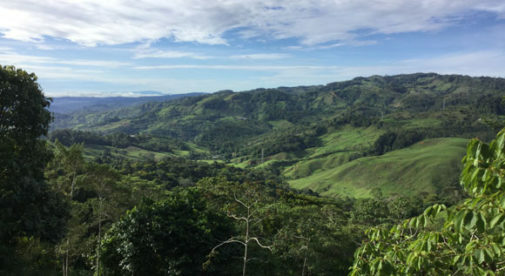 San Isidro is beautifully situated in a fertile, agricultural area part of Costa Rica and we eat healthier now with a diet of fresh fruits, vegetables, and fish. We rise early at 6 a.m. with the sun and go to bed early at night. This is the tropical rhythm of Costa Rica that totally agrees with me. I enjoy photography, writing my blog, and taking Spanish lessons, and most of all learning something new almost daily about my new home. We have simplified our life in Costa Rica and discovered that we can be happy without so much stuff. In the U.S. we always owned our own homes and I was very busy during these years filling those homes with beautiful things. Living in the mountains of Costa Rica, I’ve realized that clutter isn’t just the stuff that’s in your house, it’s anything that stands between you and the life you want to be living. Moving to Costa Rica, living among the kind Tico people, and following through with our dream has made us happy retirees.